“So then, none of you can be My disciple who does not give up all his own possessions” (Luke 14:33, NASB). Sometimes we think that being a member of a local church is the same thing as being a disciple of Jesus. It’s certainly intended to be that way. But there seems to be some variations in the admission requirements between church membership and discipleship. Now, it’s fairly easy to meet the requirements for church membership. Shake the preacher’s hand and say a little prayer; tell God you’re sorry and promise to believe in Him. And maybe even get baptized! But Jesus had something more comprehensive in mind when he specified the requirements for being His disciple. Great crowds of people seemed to follow Jesus wherever He went during His earthly ministry. One day He told a crowd of people who presumed to be His followers that to be His disciple they must love Him even more than their own family! He said that following Him was a total commitment, even to the point of giving up your life for Him. And, that wasn’t an option but rather a prerequisite for becoming His disciple! In the interest of full disclosure, Jesus told the crowd of wannabe disciples to consider what the personal cost of discipleship actually was. Jesus didn’t try to hide anything. He told them the high cost of discipleship and then asked them to consider if they could afford it! Jesus asked who would start construction of a building and first not calculate how much it would cost to complete construction. Then He asked who would take an army to war against a larger army and not calculate how many lives would be lost on the battlefield. Both illustrations warned against making a hasty decision to follow Jesus in view of the entirety of the commitment that was required. Being Jesus’ disciple is a lot like going to school. And, only those who are willing to make a total commitment, to give everything they have in order to enroll in Jesus’ school of discipleship need apply! Following Jesus costs you all of the only thing you really possess in this world—your right to your own self. Jesus said that if you aren’t willing to give up everything you have to follow Him, then you cannot be His disciple. You have to consider the cost to determine if you really want to be His disciple or not. So, Jesus doesn’t just want church members, He wants disciples! What matters to Jesus is not that you just sign up for His discipleship school, but that you finish and graduate! Because He wants you to put your education and training to work for Him. Because He wants you to make more disciples for Him! Jesus didn’t command us to become church members. He commanded us to make disciples: “Go therefore and make disciples of all the nations, baptizing them in the name of the Father and the Son and the Holy Spirit, teaching them to observe all that I commanded you” (Matthew 20:19-20, NASB). 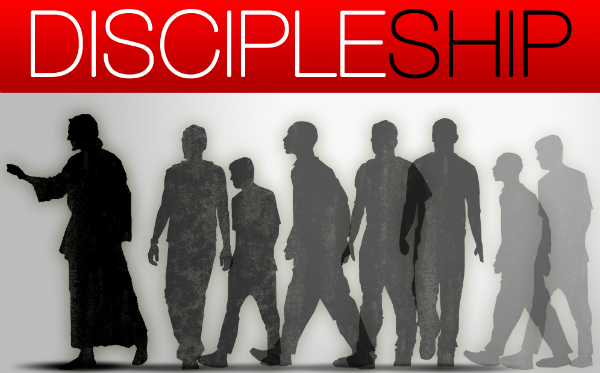 So, Jesus doesn’t just want disciples, He wants disciples that make other disciples! This entry was posted in discipleship and tagged Bible, discipleship. Bookmark the permalink.